With housing affordability fast becoming one of the state’s most pressing political and economic issues, the Department of Housing and Community Development (HCD) published a draft assessment of California’s housing crisis today, offering a first glimpse at the administration’s priorities—and the policy options it hopes to discuss—a week before the planned release of the governor’s budget proposal for 2017-18. The detailed report, California’s Housing Future: Challenges and Opportunities, is the administration’s highest-profile move on housing since last spring, when the governor sought to accelerate housing construction in urban areas by dramatically streamlining the local approval process for multi-family developments. Paired with $400 million in new funding for affordable housing programs, the proposal was ultimately shelved in the face of political opposition. In California’s Housing Future, the administration has returned to the fray, offering the first official assessment of the state’s housing goals since 2000—and highlighting the challenges policymakers will have to overcome to make it easier to rent or buy a home in California. The report offers a comprehensive analysis of just how urgent the crisis has become, with the majority of California renters—more than nine million people—now paying more than 30 percent of their income on housing and with homeownership rates falling to their lowest point since the 1940s. As prices continue to climb—and supply falls further behind demand—California is now home to 22 percent of the nation’s homeless population. For the last year, groups like the California Economic Summit have worked to develop an agenda (through the One Million Homes Challenge) that can meet the scale of this growing crisis. In its new report, the administration sets a similar goal, emphasizing the need for policy solutions that will produce at least 100,000 more homes annually over the next decade than are being built today. All of these major elements are consistent with the housing policy framework developed by the Summit in 2016, as are the more detailed options the administration has outlined. 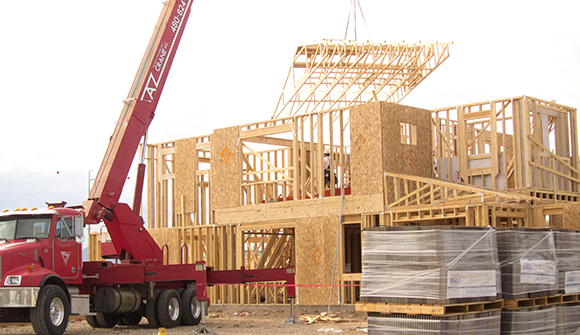 While the Summit has pushed stakeholders to develop proposals that tie new fiscal incentives to housing production, program investments, and regulatory reforms, the HCD report offers more detail on what the administration might support—from streamlined permitting processes and regional land use planning to infill development incentives and additional funding for housing-related infrastructure. The HCD assessment puts a special emphasis on the need to address housing access for vulnerable populations—and for more direct investment in affordable home development and homeownership assistance. The draft report also offers a few ideas for ensuring jurisdictions actually build adequate housing—a major element of the Summit’s housing framework. The HCD report emphasizes, in particular, the need to revisit existing laws, such as the Housing Accountability Act, to ensure local governments are increasing housing supply, density, and affordability. Which of these proposals will the governor move on this year? This week’s report doesn’t say. But with the governor’s annual budget proposal expected next week, the administration will have an opportunity to provide more detail—and perhaps to put some funding behind its proposals, as well. For details on the public process, and to RSVP for the public workshops, visit HCD’s Statewide Housing Assessment website.